Superdry men's Japan Edition cagoule. A lightweight jacket that's perfect for keeping in your gym bag, this cagoule features a drawstring hood, zip fastening and mesh lined hood and body. 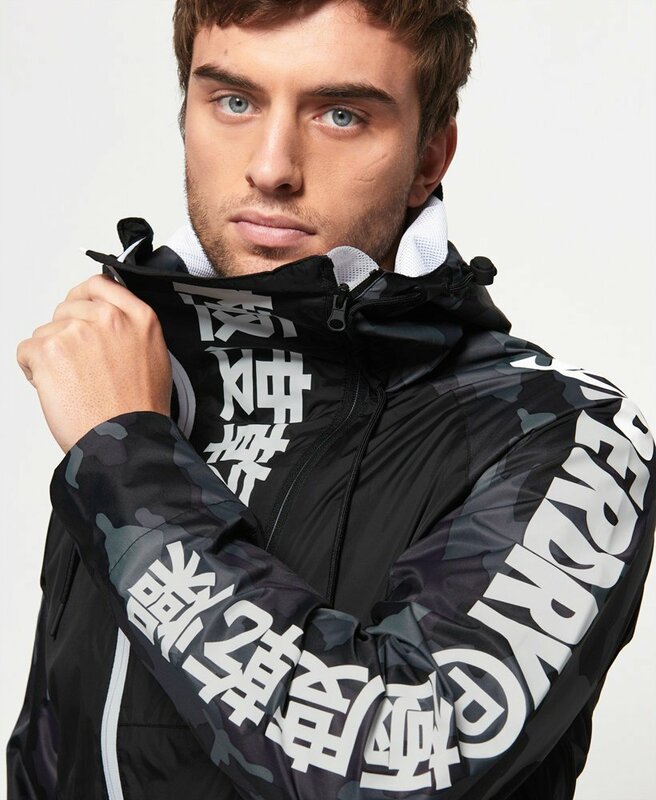 The Japan Edition cagoule also features two zipped front pockets and zipped ventilation detailing on the collar.The cagoule is completed with Superdry Sport logo designs on the chest, sleeve and hood, and small logo badge on the other sleeve.